It has been way too long since I made a stop on my little personal Black Owned Restaurants of Chicago tour! I love supporting black owned businesses and small businesses in general! It takes a lot of time, money and dedication to run a business when you’re not a large corporation and I can’t help but admire the hard work and dedication. 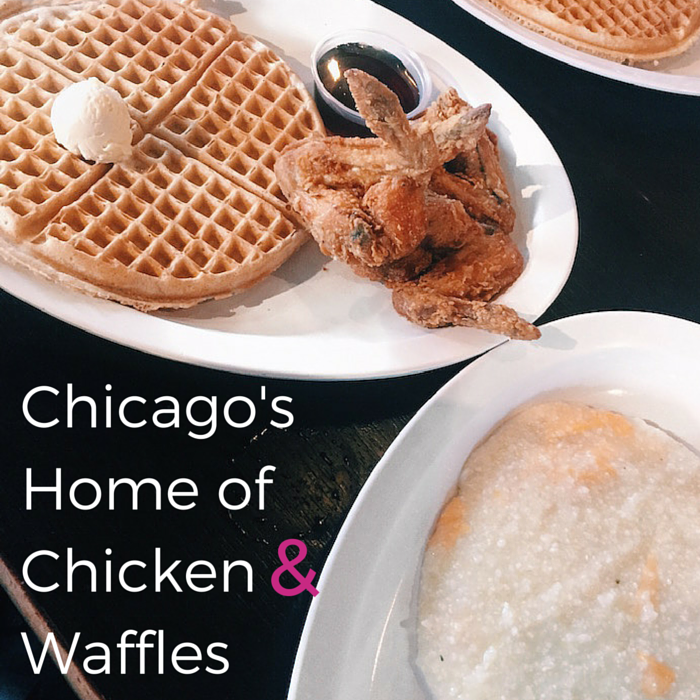 Therefore, I made it my mission this past Small Business Sunday to finally visit Chicago’s Home of Chicken & Waffles. Trust me, as long as I’ve lived in the Chicago area, this trip was long overdue. Luckily, I was not left disappointed! My friends and I were greeted by a very friendly host, who led us over to a small corner to wait for a table to open up. Though it was around noon, our wait was no longer than 10 minutes and we definitely got lucky because the line was almost out the door by the time we placed our orders. The restaurant was busy but still felt cozy and our waiter was super friendly and welcoming as well. I decided to order Tonya’s Choice, which comes with 3 chicken wings and a waffle. Each meal seemed to be named after someone, I'm not sure who these people are but I'd be pretty interested to find out! I also ordered cheese grits (my fave) and turkey bacon on the side. The chicken and waffle were delicious! Though, I still haven’t found cheese grits that top my 5 Loaves Eatery experience, I was still super pleased with my meal. One of my friends enjoyed an omelette with fried chicken inside and macaroni. The other ordered catfish, eggs and cheese grits as well. Everyone left full and happy and we’d all definitely visit again very soon!